Once you’ve created a worksheet, you will probably want to save or print it. This section explains how to save and print in Mathcad. 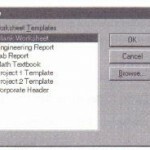 • Choose Save from the File menu or click on the disk icon in the toolbar. If the file has never been saved before, the Save As dialog box appears. Otherwise, Mathcad saves the file with no further prompting. When you’re done using Mathcad, choose Exit from the File menu. Mathcad closes down all its windows and returns you to the Desktop. If you’ve made any changes in your worksheets since the last time you saved, a dialog box appears asking if you want to discard or save your changes. If you have moved the toolbar, font bar, or math palettes, Mathcad remembers their locations for the next time you open the application .